Fourteen-year-old Olivia Bloom is not living the high school dream. Her dad is out of the picture, her mum is a relapsed alcoholic struggling to pull herself together in rehab, and her sister has had to leave university to come home and keep things in order. Complicating things further, Liv is trapped at school between old friends, bullies, and the possibility of first love. It’s a lot for one girl to carry, and Liv is close to crumbling. But when Liv stumbles across a book of handwritten recipes, curated and collected by her mother years ago, it provides an unexpected link to her parents as they once were – and perhaps a pathway to the Liv she could become. 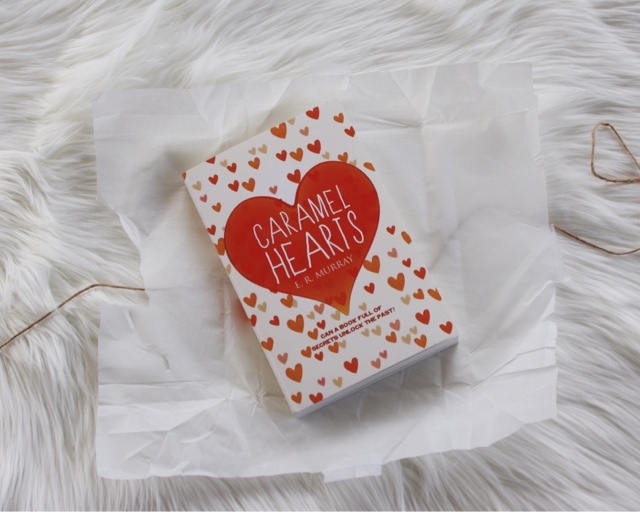 Caramel Hearts is a book as sweet as its name suggests. It doesn’t shy away from tough issues, yet manages to remain engaging and full of optimism. I was delighted to catch up with the author, ER Murray, through the magic of the internet. Elizabeth wrote to me from her home in West Cork, Ireland, a place that’s definitely on my list of Someday destinations. Her interview below offers some beautiful insights into Caramel Hearts, but also provides heartening encouragement for young writers and a strengthening hug for those who might be living through experiences like Liv’s. 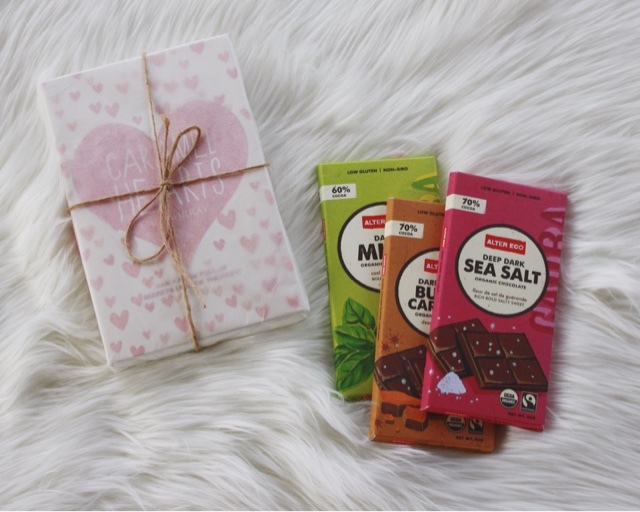 DC: As I finished reading Caramel Hearts, I couldn’t help but notice how, even though the story deals with some challenging topics, there’s an inherent sweetness there, a sense of warmth that makes the entire picture less bleak. Addiction and mental illness are tough topics to address for a young audience, but Caramel Hearts manages to do so in a way that feels both honest and age-appropriate. Was that gentleness a conscious decision on your part as an author? How do you avoid getting too dark when writing about hard things in the life of a young adult? ERM: It was a conscious decision to include hope as an important element. We have lots thrown at us in life, from the moment we’re born, and how we react determines how we cope. Hope is our one true weapon. I didn’t want to shy away from the darkness – we all experience darkness in our lives – but I also didn’t want the story to be bleak. For Liv, I wanted hope, the chance to improve her life. Mad Dog [once Liv's friend, now a domineering bully] is the balance in the story – does she have hope? Does she want her life to be different? I’ll let the reader decide. DC: This warmth comes across through Olivia’s personality, too, which manages to be endearing and relatable even when Olivia is making poor choices or becoming the kind of person she loathes. It’s possible to see Olivia as both a product of her life experiences as well as an agent of her own destiny. Bad things happen to Olivia and her worldview is shaped by those things, but Olivia also takes charge of her own future. Which aspects of Liv’s character do you relate to, and which feel more foreign? ERM: I really relate to the way Liv makes stupid decisions for well meaning reasons – I did a lot of that at her age. I believe that most people are inherently good, but that we’re also prone to making wrong decisions for what we see as good reasons. If we can see that and accept that as part of our nature, we can also give ourselves the freedom to apologise for our mistakes and put things right. But if not, that’s when bitterness and resentment set in and we go on a downward spiral. I wanted to show this through Liv; that we can’t always make the right choices, that sometimes our life experiences will override what we know we should do for the best, but that we can always make amends – or at least try. Our pasts shape us, but they don’t have to define us indefinitely. It’s difficult to find something foreign about Liv – after all, she lived in my brain and fingertips for two years. We feel like old friends now. DC: And of course, a necessary follow-up: do you have your own handwritten book of treasured recipes? Which are your favourites? ERM: I created all the recipes in Caramel Hearts and when I was first working on the manuscript, I made a handwritten cookbook like the one in the story, to get a feel for it. I don’t have one of my own, as I amend every recipe to suit my own tastes, but I do like cutting out pages of magazines and filing them away. I’ll only ever cook the recipe as it’s meant to be once, however, as I love playing with spices and flavour. I always collect recipes when I travel – I love asking people from other cultures to show me how they make their food. I have more of a savoury tooth, with chilli my favourite flavour, so my favourite recipes are usually really spicy. But I also attach sentiment to them, so my real favourites would be collected from special places -- such as a gazpacho recipe from a writing retreat in Torrox, Spain, a spicy bacon and butterbean dish a friend’s lovely parents used to make, and a spicy chicken salad collected from Koh Yao Noi island, Thailand. DC: I’m perennially fascinated by processes, so I’d love to know more about your process in writing Caramel Hearts. Was Liv’s story one that simmered in your imagination for a long time, or did it fall onto the page in a hurry? When you began telling Liv’s story, did you know it would be a young adult tale? And are you a plotter or a pantser? What inspires you? ERM: I’m inspired by emotion rather than details, so I’m a complete pantser. I don’t plot or plan anything – it kills it for me. I’ll have a character start talking to me, and I’ll instinctively know the setting and the mood – and then I just write. I have a sense of the tone I’m trying to achieve, and by writing, I find the story. I always write my first drafts in a month, stopping at around 60K words – but they’re really terrible, so I call them draft zeros. I write myself into dead ends and mistakes; once I have this initial word count to work with, I can plot and research ideas and details. It’s like an artist mixing their paint or a sculptor preparing their clay. Liv had been hounding me for a while before I started writing her story, as I was completing another manuscript, but she still had to go through the same process. DC: If you could give one piece of advice to young writers who hope to someday see their name on the cover of a beautiful book, what would it be? ERM: Never give up. Read more, write more, rewrite even more – live, breathe and love books in all their glory, but never give up on your own writing. If you do, you have zero chance of succeeding. I know lots of people who started to write with the aim of getting published; of those that didn’t give up, at least 80% have agents/book deals/books published. Never give up on a dream. Make it achievable. DC: And finally, if there are young people who encounter Liv’s story while living a similar one of their own, what wisdom or encouragement would you offer them? ERM: I hate people giving me advice and I don’t like to offer it, so I love that you’ve said wisdom or encouragement. Gold star for you! The best piece of wisdom I could hope to offer is to know you’re not alone – even if it feels that way – and to follow your instinct. The problem with being Liv’s age is that you feel ready for responsibilities and for your voice to be heard, but are people ready to listen? Usually, they’re not. So it’s a very frustrating time – and even more so if you’re dealing with difficult circumstances. I know, because I’ve been there. But the only peace you can find is within yourself. Look within for hope. You can’t change other people’s behaviour, but you can change your own perspective and reactions and that’s the best you can do. I’d also encourage people to be individual. Your story is your own, and don’t let anyone tell you otherwise. If you’re stuck in a difficult situation like Liv and Hatty, hurt and anger are valid emotions, but don’t fall into the trap of repeating cycles. Don’t become what you fear or despise in others; your experiences and past can shape you, but don’t let the ruin you. Be kind, be thoughtful, to yourself and others. After all, if you don’t look after you, who will?